This Saturday, Kryptonite will be hosting a music festival at the world renowned Cleveland Agora. 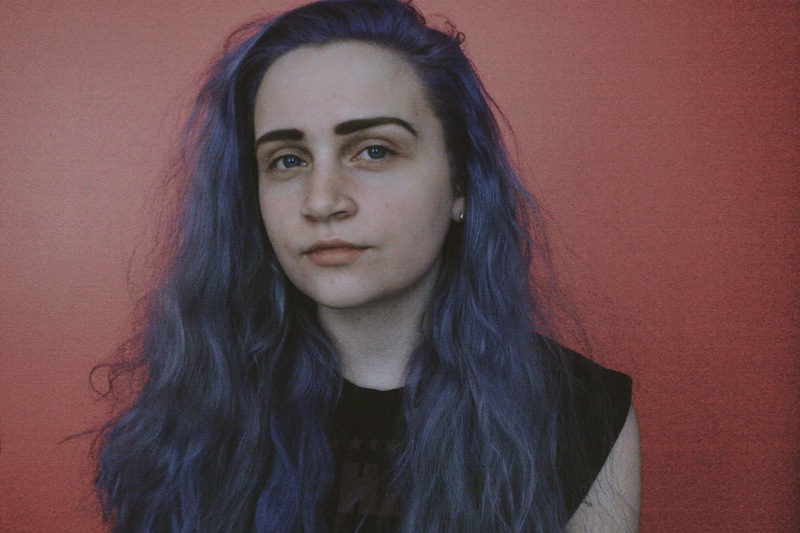 Local “acoustic punk rock” artist Sophie Sand will be opening up the show. She’s a self-taught guitarist who loves to cover bands such as The 1975, Paramore, and Twenty One Pilots. Prior to deciding to pursue a solo career, Sophie was a member of two different bands. Learn more about her from the responses below and be sure to catch Sophie’s performance at the Agora this Saturday, April 25th. Tickets are available for purchase here. Three words I’d use to describe myself are….Lame, long-fingered, wanna-be-punk rock. My favorite season is….My favorite season is probably winter because I have an excuse to dress like a bum. I find inspiration from….I find a lot of my inspiration through people like Matty Healy, he’s able to turn tragedies into something beautiful. It gives me hope. For fun I like to….I go out on adventures a lot, I like to see the world. Something I hope to accomplish as a musician is….I hope to get my name in lights one day, I hope to make my life a story worth telling. My favorite songs of all time include….Definitely “Pretty Little Girl” by Blink-182 and “Missing You” by All Time Low. I’m currently listening to…. “Forest” by Twenty One Pilots. Trying to get my rap game strong. The first song I wrote was….It was this awful song called “Engine.” I was, like, twelve, and I had no idea how to write at all. The chorus was, “Like an engine, we all blow up.” No, Sophie, no, engines are not supposed to blow up. One thing I want you to remember while listening to my music is….Good things will always happen. Something odd I want my fans to know about me is….I started using “Sand” as a last name because even I misspelled my real last name. My old French teacher took off two points for misspelling it more than once. It’s the thought that counts. My last meal would be….I only eat bagels, to be honest. Is that bad? In the next six months you should expect….A lot! Going to be doing many more gigs in many more places. I’m going to make my music better too, obviously. Probably a few new hair colors as well. This entry was posted in Fill In The Blank, Interviews and tagged acoustic, acoustic pop, acoustic pop punk, agora, April 25th, cleveland, cleveland agora, Cleveland band, Kryptonite Festival, Kryptonite Music Festival, ohio, pop, Sophie Sand, Sophie Sand Cleveland, Sophie Sand Kryptonite Festival, Sophie Sand music. Bookmark the permalink.